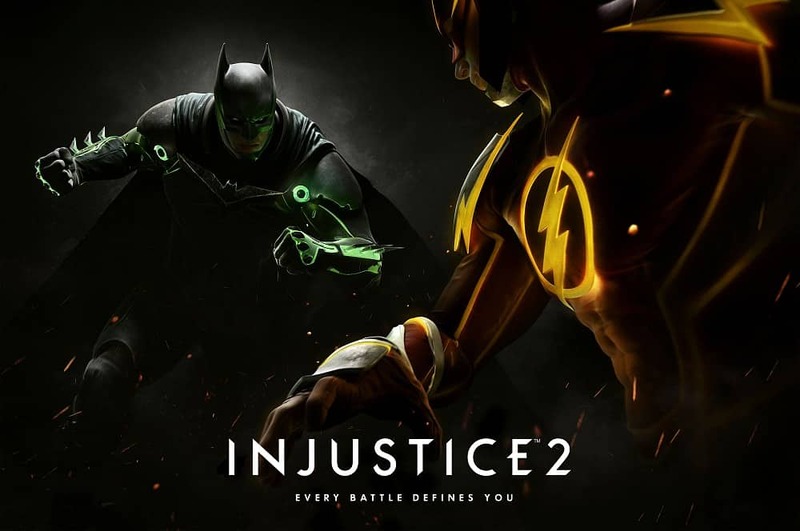 Injustice 2 for PS4, Xbox One, Android, and iOS was released on May 16, 2017. PC gamers were disappointed with the fact that they won’t get the chance to play the game on their laptops/ desktops anytime soon. In fact, some of them have been expressing their frustrations by signing a petition, (started on change.org in 2016) for the developer to release Injustice 2 for PC. But they haven’t yet managed to capture the attention of Netherrealm Studio (developer) nor Werner Bros International Enterprises (publisher). If you don’t own a console and would like to play this action game on PC, we outline a detailed step-by-step guide on how to get the Android & iOS versions into your Windows/ Mac OS. This is the sequel to the hit game “Injustice: Gods Among Us,” that allows you to build, power up and control your favorite superheroes & super-villains of the DC comics roster. As a player, you can personalize these iconic characters with powerful and unique gear earned throughout the game. You’ll also have full control of how your characters fight, look and develop, across the tons of game modes. So are you ready to enter the arena and struggle to become the ultimate DC hero/ villain in blockbuster 3 on 3 action? The game features a massive roster of DC superheroes and super-villains. In fact, it’s the biggest DC roster ever offered in an action game. The characters range from the classic fan favorites like Batman, Supergirl, Superman, Aquanam, The Flash, Blue Beetle and Wonder Woman to astonishing new villains such as Gorilla Grodd, Deadshot, and Atrocitus. 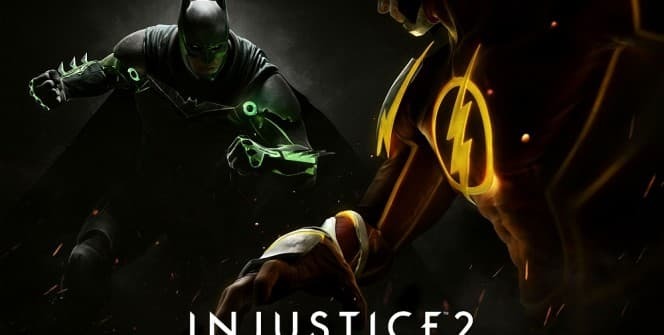 Injustice 2 continues with the same story set in motion in “Injustice: God Among Us.”Batman and his allies are working together to put the pieces of society back together, but at the same time, they are struggling against those who would like to restore Superman’s Regime. It’s in the midst of this chaos that a new threat will appear, putting the Earth’s existence at risk. The comic book fighting game expands on the previous title’s “larger-than-life” showdowns. 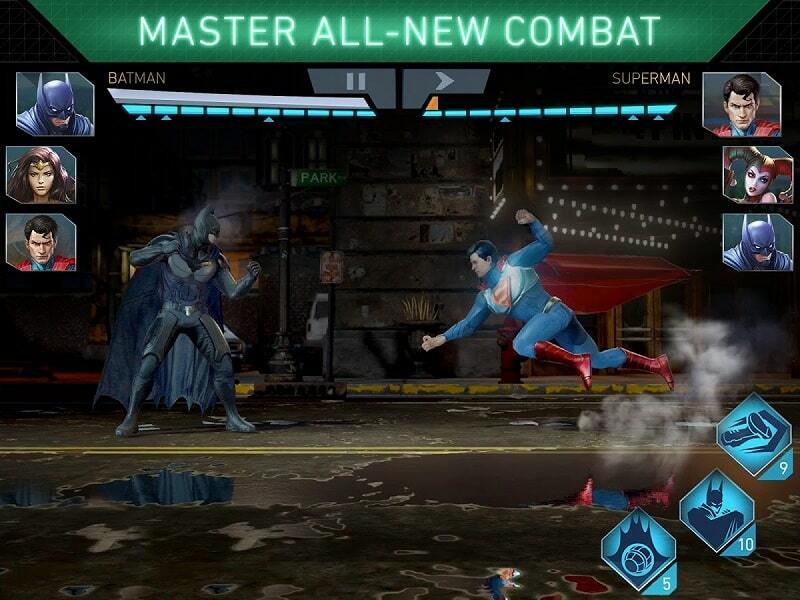 You’ll be earning different gear to equip, level up and customize your favorite DC characters on every match. This means that your success/ failure will determine the looks, fighting styles, health, strength and abilities of your DC superheroes & super-villains. • You can take on new challenges by teaming up with friends. • There are tons of exciting modes that will keep you very busy. Whether you’re a long-time or new fan of this hard-hitting DC-based action game, you’ll love its incredible, high-end visuals, which look fantastic on large PC screens. Also, if you have gaming headsets/ speakers, you’ll appreciate the HD sound quality. Install Injustice 2 for PC now to unleash the powerful fighting styles of your favorite DC characters. Sometimes when playing Injustice 2 Mobile, bluestacks ask you fee to pay but gives you option to download some apps. Every time it asks you just select “Install apps” and continue using it free. I hope you enjoyed this article, please rate and share. If you have problems running Injustice 2 on desktop or any other issues, leave a comment below.